As a parent, sending your child away to study can be a difficult decision, and one that many struggle with. Depending on what planet your chosen Jedi academy is located on, the journey could be long and arduous. Training with a Jedi master, however, is exactly what your child needs to hone their skills and learn the way of the Force. Force-sensitive boys and girls, particularly those with high midi-chlorian counts, need proper training under the direct supervision of the Jedi Council to reach their full potential. As a Jedi-in-training, your child will not need to pack much to prepare for this stage of their training. As intergalactic keepers of peace, Jedi live a simple life with few possessions. 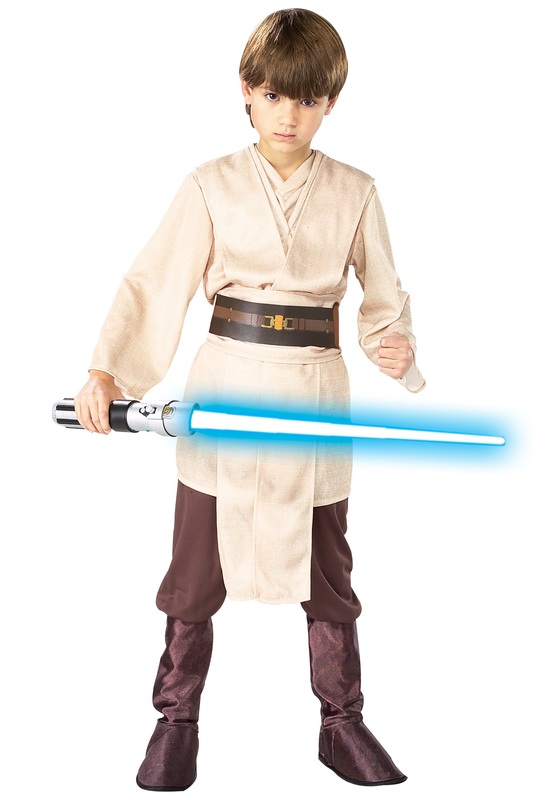 One required item is the traditional uniform of the Padawan, a cream-colored tunic paired with brown pants. It is simple enough for everyday use, yet acceptable for formal occasions when they arise. The comfortable design allows young apprentices to both commune with the Force and tackle strenuous lightsaber training. This unisex outfit also comes with a belt and boot covers. The midi-chlorians are speaking to you. 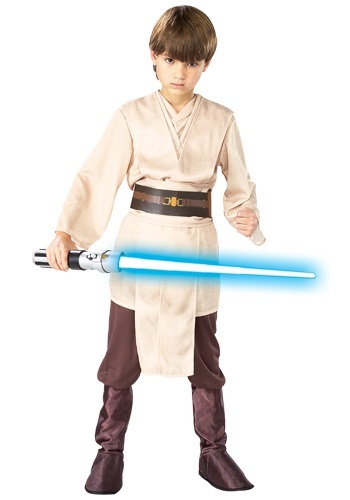 They are using the will of the force to tell you that this costume is the right choice for your little Padawan learner for their upcoming training. Quiet your mind. They will tell you what to do.